Doing good and doing well become one and the same in philanthropy and business. As a businesswoman in the commercial real estate industry and a philanthropist in the New York City community, I am well aware that philanthropy can amplify one's success and crystalize the vital relationship between giving back and enhancing business performance. When intelligently coupled, business and philanthropy build upon each another to produce both social and financial impact. This occurred to me again when I read a report by the Urban Land Institute (ULI), about women in the real estate industry and smart work policies. I was struck that the majority of the women ULI surveyed, who held CEO or other executive positions, served on community nonprofit boards; so did nearly half of all women surveyed. As a woman who has had years of involvement in both real estate and philanthropy, I found that those statistics resonated. Why? Because women young and old in our industry are not only proving that they care about more than the bottom line, but are developing important skills from their philanthropic endeavors. Now, I do not know if ULI’s figure is true for other industries—but I am quite certain that the skills and mindset philanthropic involvement instills are useful across a range of professions. Indeed, community boards and nonprofit organizations provide excellent experience for the corporate world. Leadership roles on nonprofit boards are especially beneficial, as they allow women the ability to demonstrate and build confidence in executive roles. Such experience feeds into career advancement. Involvement in philanthropy, though, is much more than a resume builder—just as charity is more than simply writing a check. While all levels of charitable involvement are beneficial, the more complex the role, the better the payoff. For example, community involvement in a woman’s early-stage career can help her earn positions of leadership, or even grant her the know-how to build her own business. 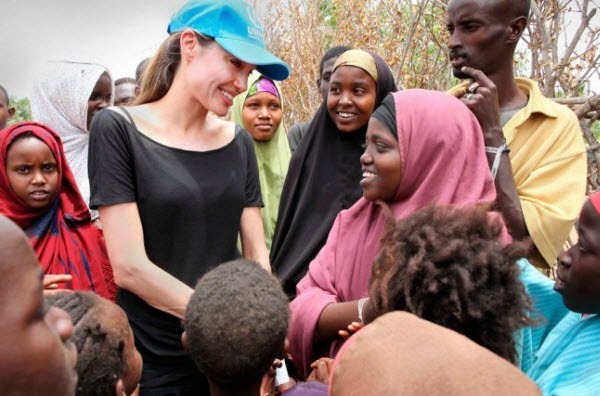 Once she has executive power, a wealth of new opportunities in philanthropy may well open up for the causes she cares about, and for business success too. At the helm of her own business, she will have the freedom to develop partnerships or even launch unique organizations alongside her company. She can use these initiatives to build relationships with clients, align her business brand with important social values and deliver competitive returns all the while. Finally, philanthropy that ultimately does good—whether for the planet or the community—reflects positively back on a business and its leadership. Some may think that this credential is solely about reputation, but it is much more than that. When a community is lifted by charitable endeavors, this boosts the company, and perhaps its profits, as a result. The reciprocal nature of the relationship between philanthropy and business means that doing good and doing well become one and the same. It is no wonder, then, that the most successful businesswomen and female entrepreneurs have long histories with philanthropy, from big names like Oprah and Beyonce to fashion gurus like Sara Blakely and Tory Burch. The best part is that female business women tend to support more women through their organizations, lifting a new generation of female breadwinners and their future endeavors, both charitable and corporate.